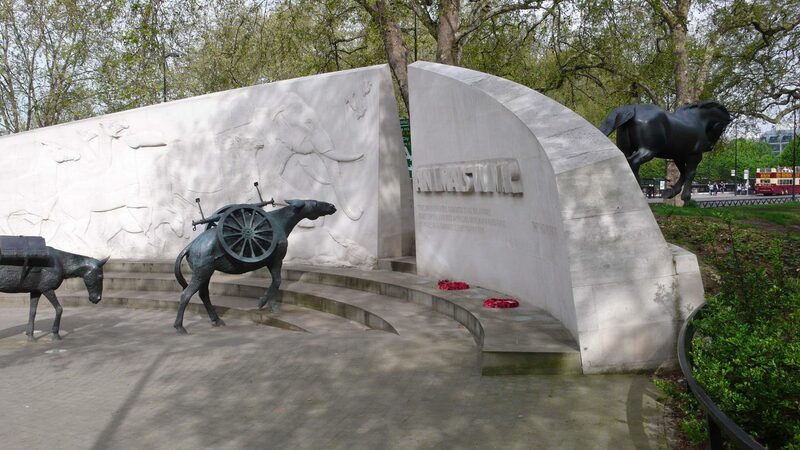 Originally proposed for a site at Hyde Park Corner, this memorial to animals which have served and died alongside British and Allied troops was resited at Donald Insall Associates’ suggestion at Brook Gate in Park Lane, next to a new pedestrian route into Hyde Park. 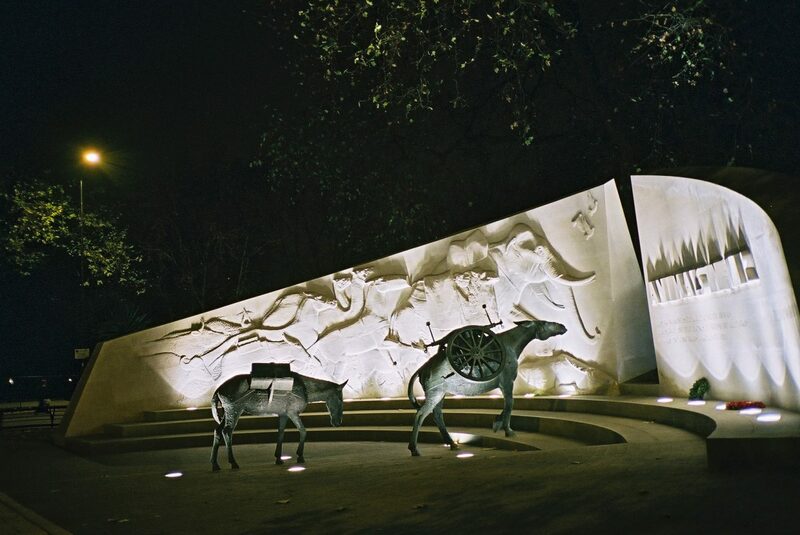 The memorial also pays tribute to the 60 animals awarded the PDSA Dickin Medal — animals’ equivalent of the Victoria Cross — since 1943. 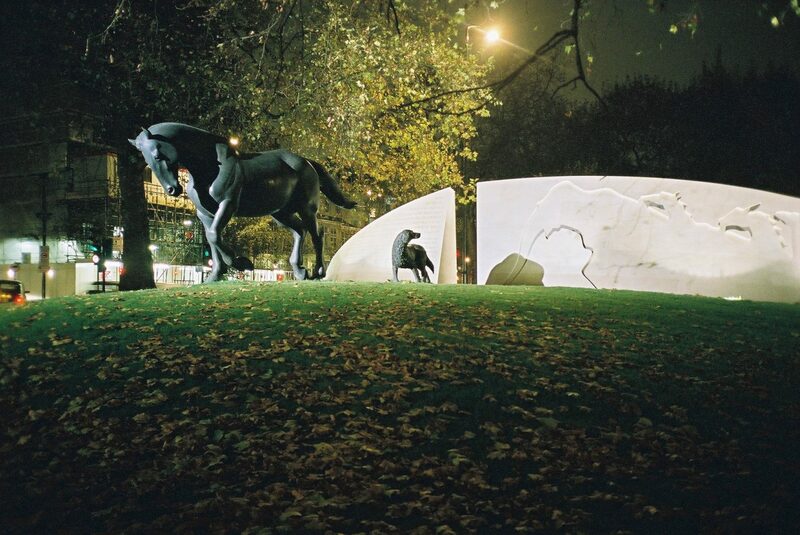 In realising the setting, we collaborated with the memorial’s designer and the sculptor of the bronze animals, David Backhouse. 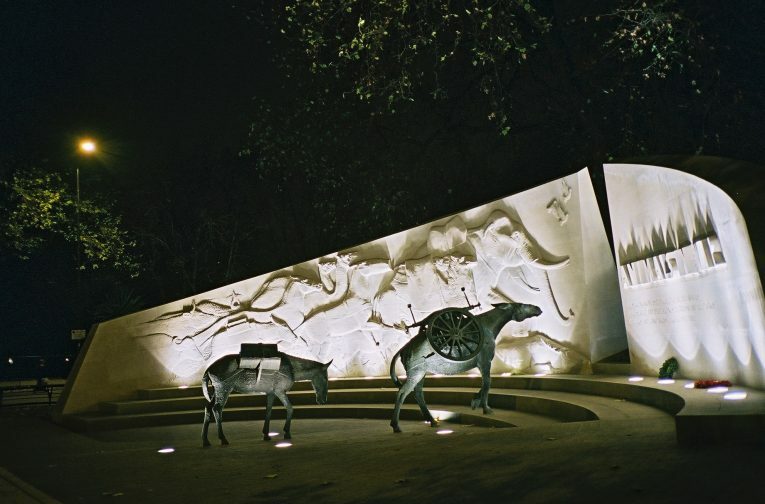 The Portland stone walls were carved by the Carving Workshop of Cambridge, the lettering designed and carved by Andrew Whittle, and the contractor was Sir Robert McAlpine.